SensaRx Inc. has developed what it says is “the world’s first wearable sensor that sends an alert to a caregiver’s mobile device when a loved one or a patient gets up from a bed or chair, even if the caregiver is far away,” SafeWander lets clinicians and consumers keep track of someone’s movements, alerting them if an elderly person wanders out of bed at night, for example, or falls when they get up from a chair. The small button-shaped sensor, which is worn by the patient, sends a wireless message to a nearby “Gateway” that’s plugged into an outlet near the person’s bed or chair. The button sensor and the Gateway communicate by means of Bluetooth. The Gateway in turn communicates through the Internet to a mobile app. The app sends out a beeping signal to a person’s mobile device to alert them to the fact that the monitored person is getting up—by sensing a change in body position. 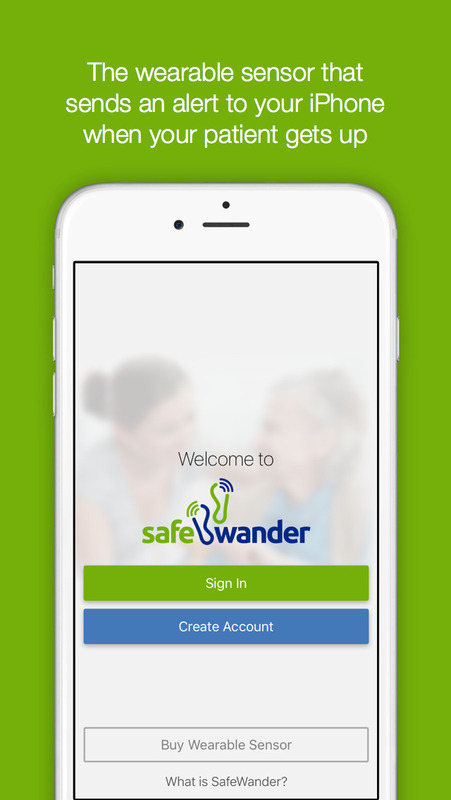 The SafeWander system currently runs on Apple devices, including iPhones, iPads, and the iPad Touch running iOS 8.1 or newer. It also requires a strong WiFi signal in your home or facility. More specifically, the system requires a WiFi network that supports 802.11b/g/n 2.4 GHz within the patient’s room. (The company says Android devices will be supported in early 2016.) 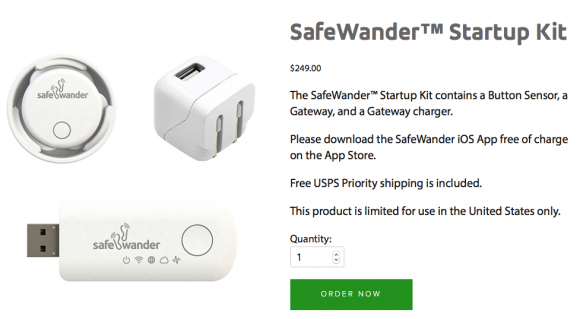 SafeWander does require users to register the sensor, Gateway, patient, and the person who will be doing the monitoring. The monitoring system can keep track of a patient from any room, with a small sensor that is easy to secure and hard for the patient to take off, according to the safewander web site. Clinicians can also monitor several patients using one mobile device. 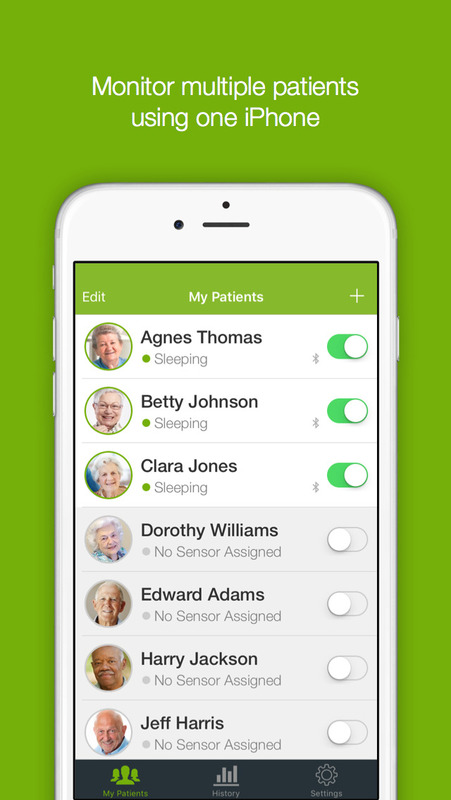 To make that feature manageable, the mobile app provides a “My Patients” dashboard to keep you informed of the status of each patient using the system. 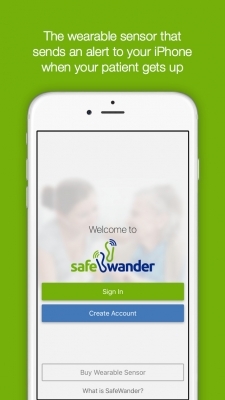 The SafeWander system follows in the footsteps of several vendors that have developed digital tools with geriatric patients in mind, including Verizon and Samsung. I fail to see how this prevents falls unless the person is on total bedrest. Even then,if caregiver is from away,how does it prevent? It can alert to the possibility but proven t I do not see. Please clarify. Also does it alert emergency services if there is a fall?